This is the first post in an ongoing series we’re going review a new feature of our software. We’re focused on continuously improving the software based on the feedback of our customers. We’ll use these posts to highlight our focus on that. Given that that this is a new blog series, we’ll focus the first few posts on current features of the software. During market rallies, its very easy to become frustrated with past sales/hedges that are lower than current market prices. For those most part, those decisions are done and we need to focus on what opportunities are available to us today. 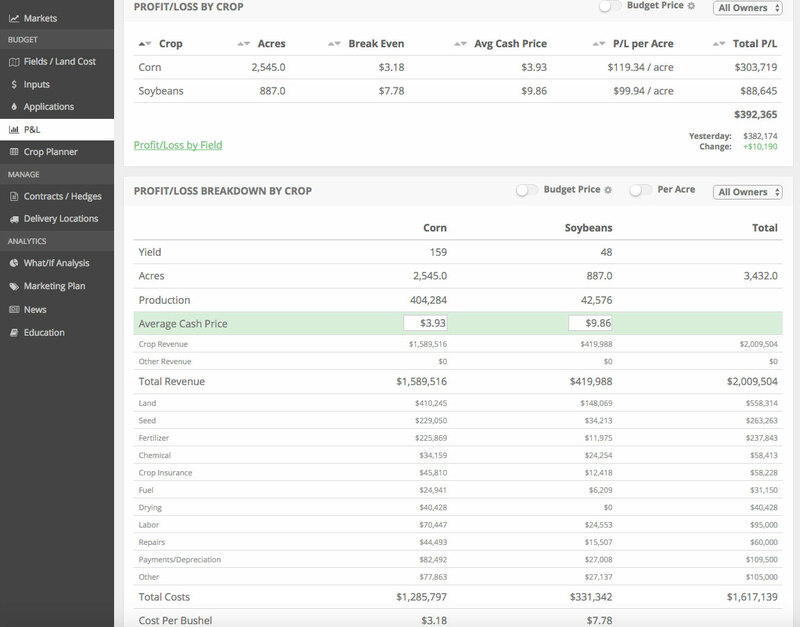 This simple feature shows us the daily change in our farm’s projected P&L. It focuses us on the fact that the market going up is rarely a bad thing. It also provides a definition to market prices. It’s shows you exactly what the market price at that time means for your operation. See below for a video that walks through this feature. If you’d like a demo of the software, click the button below to set up a time for a call. We’d love to hear from you.